During the Fall of 2018, we attended the Blaž Festival in Medjugorje, Bosnia Herzegovina. It was the third rendition of the annual festival that focuses on showcasing the local varieties Blatina and Žilavka. 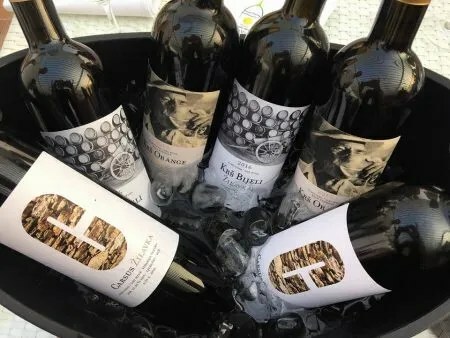 We’re big fans of the region and these wines, so it was a no-brainer for us to attend when we received the invite. Nearly all of the quality producers of BiH (Bosnia Herzegovina) were present at Blaž. Blatina and Žilavka are two unique grapes from Herzegovina. The region has a long history of wine production, dating back at least 2000 years to Illyrian times. That being said, wines from these grapes are not well known on the world stage. 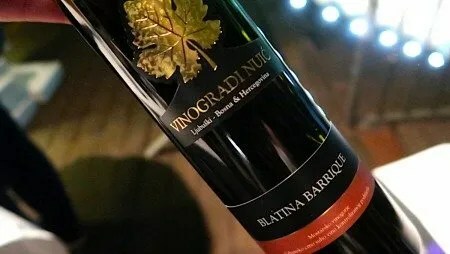 Blatina is one of my favorite grapes from the Ex-Yugoslavia region. 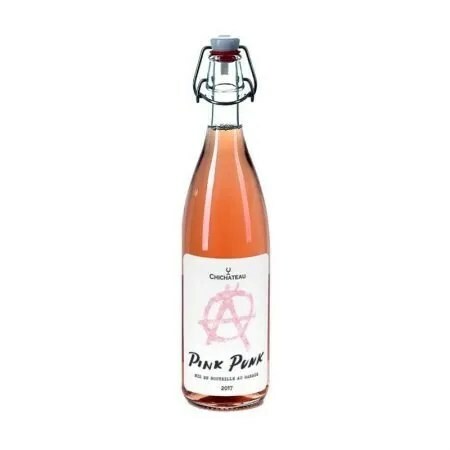 It creates medium-bodied reds with juicy acidity and distinctive mineral flavors. 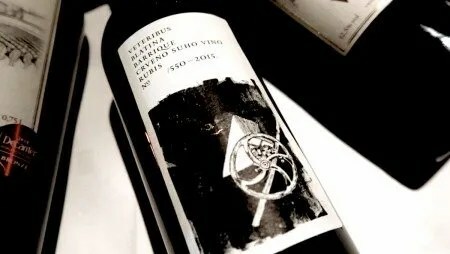 The wines are low in alcohol and retain a fantastic level of natural acidity, which is unique for the latitude (Herzegovina is approximately the same latitude as Rome, Italy). The flowers of the Blatina vine are female, meaning they need a different variety to pollinate. For this reason, many producers plant Alicante Bouchet or another local variety known as Trnjak in their Blatina vineyards. Wines made from Blatina tend to taste like an imaginary cross between Sangiovese and Gamay. Oak aged versions tend to taste like rich wines made from Blaufränkisch. The wines are usually fruity and complex. Žilavka is a unique grape that has few equivalents. The grape creates wines with high alcohol and surprisingly bright acidity. Žilavka vines tend to do well with the warm, Mediterranean climate of Herzegovina. Many producers told us that during drought periods, the only green of the landscape is from the Žilavka vineyards. The closest comparison for the grape that we have is Vermentino from Sardinia, thanks to the pine, ripe fruit, Mediterranean brush flavors that are accompanied by an oily mouthfeel. The Blaž Festival really impressed us. We had no idea what to expect and when we got to the venue we were blown away. The lighting was stellar and there was live music in addition to finger foods and cheeses. 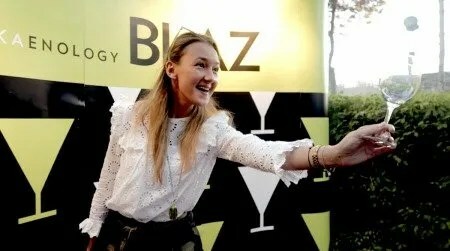 The organization was top notch and the organizers plan to do more Blaž events in the region including Sarajevo (BiH), Belgrade (Serbia), Split, and Zagreb (Croatia). Wines made from Žilavka showed the weakest in our opinion. Too many producers use aromatic yeasts and the wines taste industrial and lack personality. Many of these wines taste like they could be any grape. If the target market is mass produced, low cost, fresh whites than this is no problem. 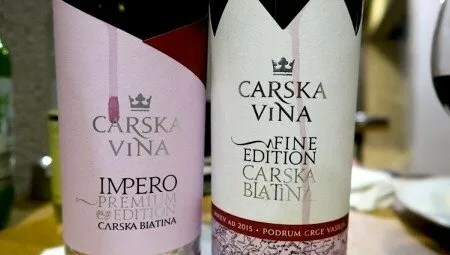 However, if producers want to show off Žilavka’s potential, we’d like to see more examples made with indigenous yeasts and bottled unfiltered like the excellent wines from Brkić. 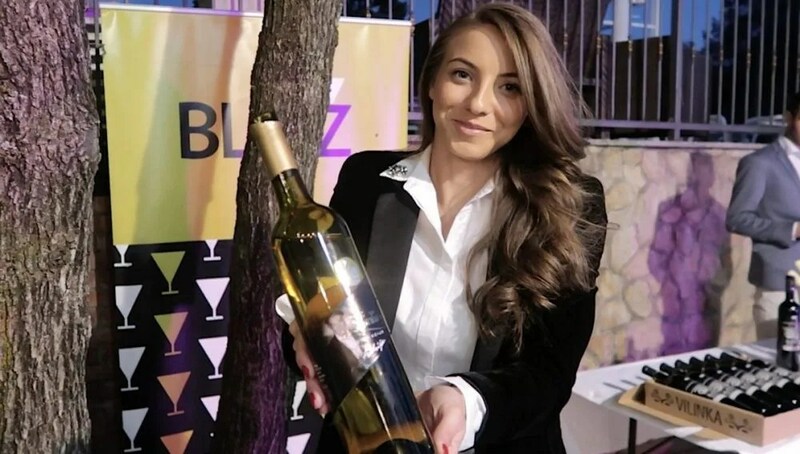 Wines made from Blatina, Trjnak, and Vranac are a different story. We tasted a number of exciting wines from all of these grapes. Blatina does well as a fresh wine and takes to oak surprisingly well for a medium bodied wine. 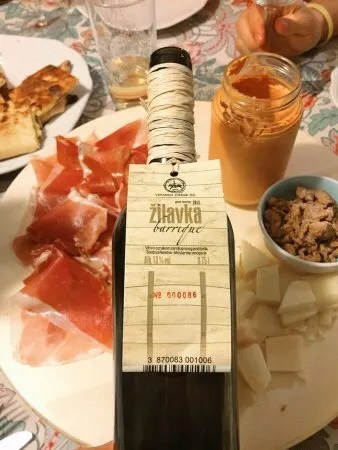 Vranac (also spelled Vranec in Macedonia/FYROM) is mostly cultivated in Eastern Herzegovina but there are also a number of delicious examples in Western Herzegovina too. It’s a grape that we are big fans of and the potential is barely scratched. We feel the grape Trnjak has the most potential to make deeply colored, highly structured, and age-worthy reds. This may be the regions ticket to serious and complex reds that can surprise a lot of drinkers. 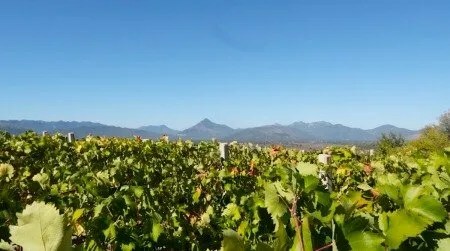 It will be exciting to return to the region over the coming years to see how winemakers continue to improve. Here were our favorites from Blaž. 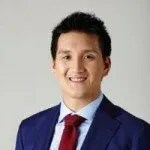 We’ve written at length about Brkić, in particular, the Plava Greda and Mjesečar Žilavka. There’s a reason for this. Josip Brkić is perhaps the name when it comes to wines in Western Herzegovina. He creates wines with character and soul. Blatina usually creates medium bodied, juicy table wines. 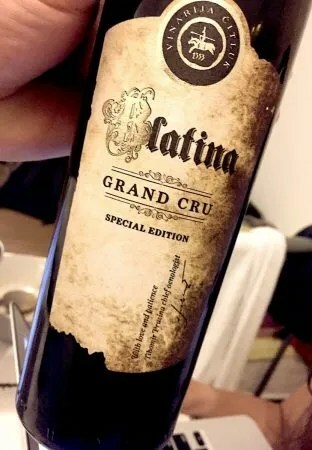 The Čitluk Blatina Grand Cru Special Edition is one of the few serious examples of Blatina that we have come across. It has more structure than normal Blatina-based wines and we wouldn’t be surprised if there is a touch of Cabernet Sauvignon blended in. Škegro is a fairly new producer on the scene but they’re already producing some delicious wines. 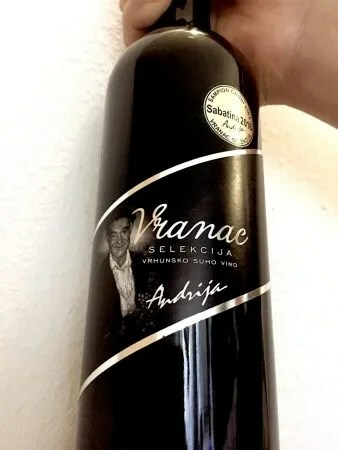 We’re fond of this wine in addition to the Krš Orange Žilavka. The Carsus Blatina is aged in oak for twelve months. This new vintage takes the bottling to new heights. Photo from the Škegro Family Winery Facebook Page. Cesarica Hotel provided us with two nights of accommodation for the Blaž Festival. Please note that the opinions expressed are our own and have not been paid for in any way. We do not sell editorial content as that would destroy the legitimacy of our reviews and the trust between Exotic Wine Travel and its readers. On occasion, we extend the option of purchasing the wines we review or/and the products we spotlight. Some of these product links are set up through affiliate programs, which means Exotic Wine Travel gets referral credits if you choose to purchase these items via the links we provide.